Due to the relatively good weather in San Diego all year long, attractions don’t have to close during the so-called Winter months. Here are some places you may wish to visit while in San Diego after SolidWorks World 2014. Have fun with these ideas! San Diego’s Downtown – Creation of downtown areas for denizens has become an art form by its own right in California. Practically every little town to big city has a developed downtown. San Diego is no exception. Of particular interest is the The Gaslamp Quarter and Little Italy. Seaport Village – Great place in the San Diego harbor for dinner, explore shops and more. 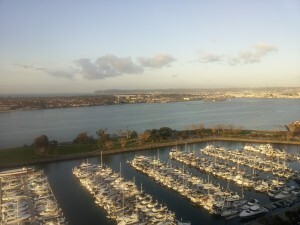 Coronado Island – Beautiful area to explore, just over the bridge! 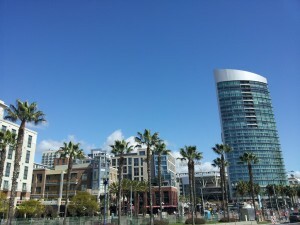 East Village – Up and coming area near The Gaslamp Quarter. Old Town San Diego – A completely different experience than Downtown, allowing you to explore California’s diverse heritage. San Diego’s wine country – as other wine regions in California, might be worth the time to explore. La Jolla Cove – Beautiful beach and cove. Pacific Coast Highway – for those who may want to drive along the beautiful California coastline. This could be a couple of hours to a couple of days, depending on how far you want to drive and how much you want to see. Fiesta Island – Beaches…beaches everywhere.